Be sure to bring in the coupon below for extra savings! Free Delivery on Grandfather clocks in the Atlanta Metro area! 30% off on all regular priced watches. Bring your clock by for a free estimate on repairs. 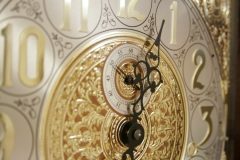 The Clock Gallery has been servicing clocks in the Atlanta area for over 26 yrs.